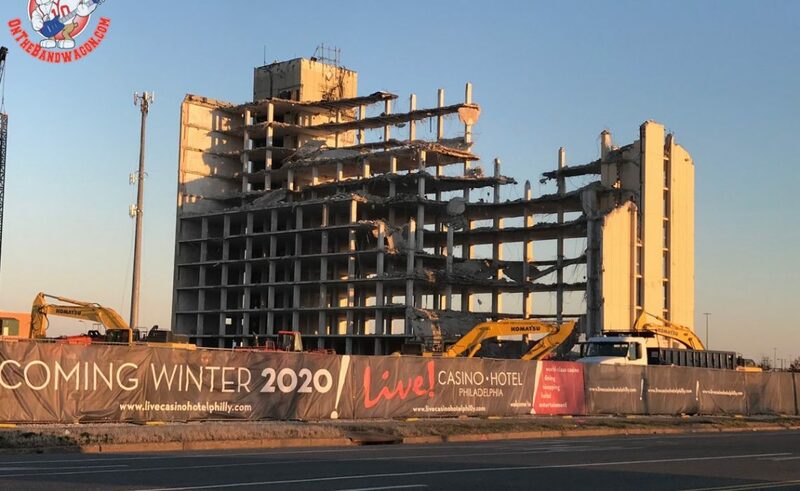 They faced a long series of delays, with the latest being “what do we do with all the cell antennas on the building”… and now the South Philly Stadium Holiday Inn started coming down this week so that construction can begin on the new Philly Live casino and entertainment facility. While the stadium is positioned two large blocks away on Packer Ave, the Holiday Inn has stood in the distance of the outfield for as long as Citizens Bank Park has been around… in fact the large hotel building was built in 1974! This project and license goes all the way back to 2004 when Foxwoods won the casino license with plans to build along the Delaware River, just a few years before the massive downturn in the economy. Unable to gather financing with the softened financial situation, the license was revoked in 2010 and put up for bid. It finally landed in the hands of the Cordish Company (after they bought out their partner), who also developed the popular Xfinity Live entertainment property in the Wells Fargo lot. Originally the casino project for the Holiday Inn property was to reuse the long standing building… but it seems after Cordish took over 100% control, they decided the hotel building’s location in the close-to-center of the property would impact their desire to have a large open casino floor. Despite presumably paying a larger amount of money for the property with building, they decided to demolish the building and rebuild closer to the property edge! PrevPreviousPhillies Spring Ballpark Pass Available Now! 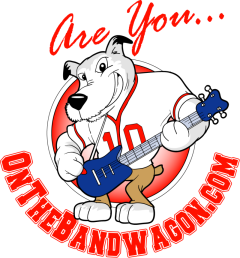 $60 to Enter all March/April Home Games. 16 Total!